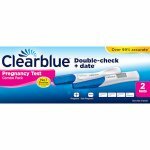 The Clearblue Advanced Digital Ovulation Test is the only ovulation test with easy-read digital results to clearly identify your 2 best days to get pregnant. 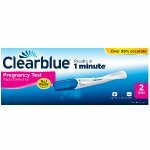 When testing for ovulation, our digital readout gives you 100% clear results without the hard-to-read lines. A smiley face in the result window indicates you have pinpointed your LH surge and the day leading up to ovulation, therefore identifying your 2 best days to get pregnant. Did you know that one in two couples could be trying to conceive on the wrong days of the woman's cycle? And did you know that your basal body temperature only increases after ovulation, making it not much use to aid conception in that cycle? 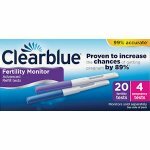 This test detects the rise of the ovulation hormone LH 24-36 hours prior to ovulation and identifies the 2 best days to conceive in a given cycle. Making love during these 2 days gives you your best chance of conceiving. 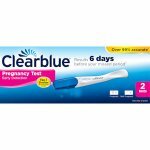 This test is the most effective home ovulation test kit. 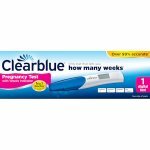 It gives you clear digital results, so there's no need to interpret the lines and gives you more test sticks than any other brand, making it more effective at detecting your LH surge. 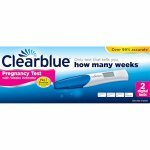 You use the Clearblue Ovulation Test once a day at the same time each day, on the days around the time when you expect your LH surge. 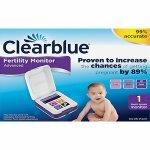 It identifies the days in your cycle when you are most likely to conceive.